Rodney Smith was educated in theology but it was to photography as he always returned to. During his studies at Yale, he also studied photography with Walker Evans. Rodney Smith was a professor of photography at Yale University. In addition to his personal work, he has also done successful assignments for BMW, Ralph Laurent, The New York Times Magazine, American express, IBM, Heinz, New York Stock Exchange, Starbucks Coffey. In 1975 he received the Jerusalem Foundation Fellowship, which enabled a three-month stay in Jerusalem. This work resulted in his first book, In the land of light. After that he has published a series of popular books. Rodney Smith helped us to see the world differently, a place of beauty, grace, style and humour. A brilliant and poetic man, an artist whose work will live on and inspire us for all future. For over 45 years, fine art and fashion photographer Rodney Smith brought his unique vision to the world through his whimsical imagery. Playful and surreal, his photographs graced the pages of TIME, The Wall Street Journal, and The New York Times, among others. Rodney Smith was educated in theology but it was to photography he always returned to. During his studies at Yale, he also studied photography with renowned photographer Walker Evans. In 1975 he received the Jerusalem Foundation Fellowship, which enabled a three-month stay in Jerusalem. This work resulted in his first book, In the land of light. After that he has published a series of popular books. 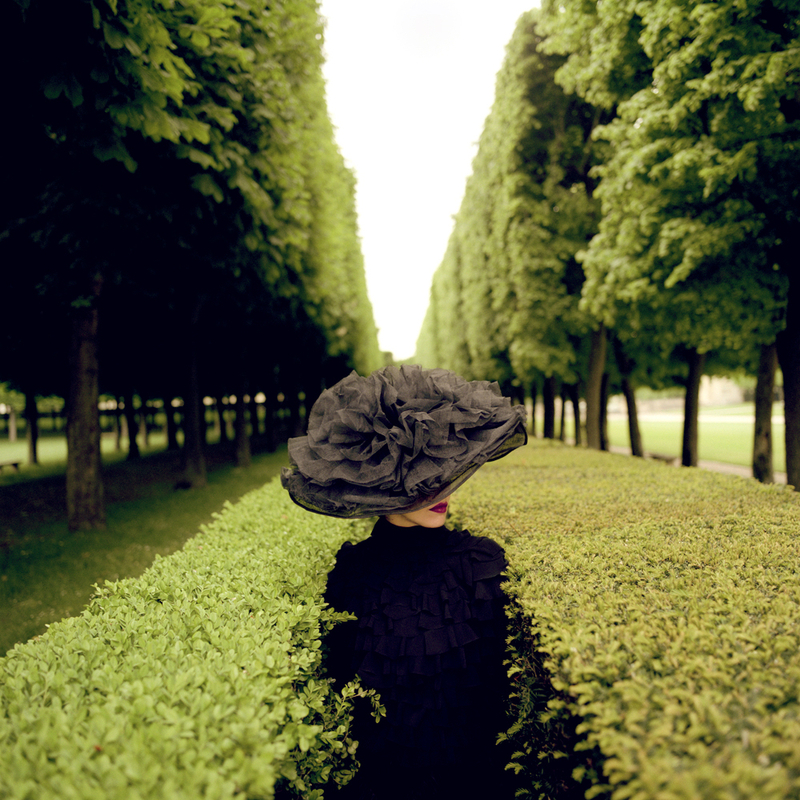 Rodney Smith helped us to see the world differently, a place of beauty, grace, style and humor. A brilliant and poetic man, an artist whose work will live on and inspire us for all future. Rodney Smith was born December 24, 1947 in Manhattan, New York. After he studied English Literature and Religious Studies at University of Virginia in 1970, Smith went for his graduate degree in Theology at Yale University in 1973. Smith said in an interview with Kodak,“Iabsolutely knew I wanted to be a photographer, but I didn't feel that studying in an art school or a photography department full time was the way to address the issues that were interesting to me - so I sort of entwined the two." While at Yale, he also studied under renowned photographer Walker Evans, soaking in the lessons learned and transforming them into his own style. Merging what he learned, four factors became the driving force behind his work—composition, scale, proportion, and relation. Composition is derivative from classical tenants. That is, how things fit into the environment, their placement and scale in the environment, the relationships between objects and people, the photographer and his subject – those are all classically based sentiments. In 1976 Mr. Smith spent 100 days photographing the people of the Holy Land, in Jerusalem. From the 88 Rolls of film shot, Smith ended up compiling two portfolios, which later became his first book:“Inthe Land of the Light: Israel, a Portrait of Its People(1983).Published by Houghton Mifflin Company, published in Israel. ”One of the things that is interesting, and I think people are always intrigued by this, is that though my pictures seem so composed, they are extremely spontaneous. 95% of the pictures I take, I didn’t even know I was going to take them a few minutes before. In an age when we are used to seeing photo manipulation, it is important to note that Rodney Smith’s compositions were created in-camera. A faithful devotee of film photography, he never switched over to digital technology, preferring to make magic on site rather than in post-production. Smith primarily photographed with a 35mm Leica M4 before he transitioned to a 120/6x6(mediumformat) Hasselblad with an 80mm lens. He preferred natural light to illuminate his subjects, but occasionally used continuous lighting. Rodney Smiths love for photography was evident and he was entirely unapologetic about his loyalty to working exclusively with film. His passion was infectious and inspiring. With an illustrious career spanning over 45 years Rodney Smith has produced countless iconic images that are a perfect blend of sophistication and whimsy. Rodney Smith’s body of work speaks for itself. It sets him apart. In the past 25 years, Smith received 50+ awards including First Prize for his book"TheEnd" from International Photography Awards(IPA).He has also received several Communication Arts and Photo District News(PDN)awards. Rodney Smith's work has been featured in numerous publications from the Wall Street Journal to Martha Stewart, from Time to Bloomingdales. In addition to his personal work, he has also done successful assignments for BMW, Ralph Laurent, American express, IBM, Heinz, New York Stock Exchange, Starbucks Coffee. Rodney Smith died in his sleep on December 5, 2016 at the age of 68. After his passing his legacy carries on through the galleries and museums that continue to display his work, as well as publications and new photographers influenced by his style.